How to Be Green? 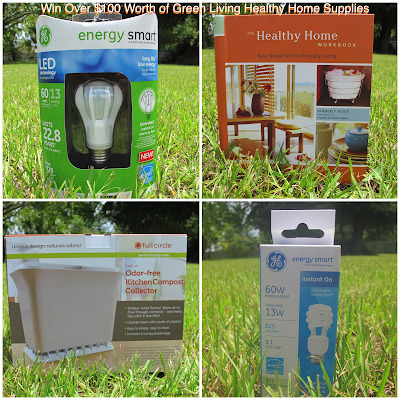 Enter to Win Over $115 Worth of Green Living Healthy Home Goods! If you are wondering how to be green, and want to win valuable home goods you can use, this green living giveaway is for you. It's easy to enter to win over $115 worth of green living healthy home goods that every single household, including yours, can use. Who Wouldn't Want These Valuable Green Home Goods We All Need and Can Use? It's Easy To Enter To Win and Live Greener! Just leave a comment below telling us how you go green at home to earn your first 10 entries and you will unlock more even more chances to win on our Rafflecopter entry form. In modern days these types of bulbs are generally used at many places because this is a new technology bulbs and having the longest life from other ordinary bulbs. Before purchasing these you can see a great collection of the RV Led Lights.